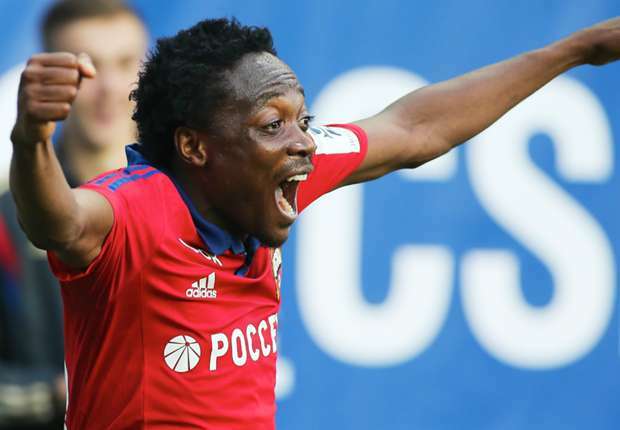 Ahmed Musa was the hero for CSKA Moscow who came from two goals down to defeat hosts Sparta Prague 3-2 in the second leg third qualifying round of the UEFA Champions League. Leonid Slutsky’s men had played out a 2-2 draw in the first leg at the Arena Khimki – and needed a win away to secure a spot to the next round of the qualifying stage. Ladislav Krejci put the hosts ahead in the sixth minute before Kehinde Fatai added the second for Sparta ten minutes later. With the odds against CSKA to progress, Musa was on ground to reduce the deficit in the 34th minute as he put his team back on level terms six minutes after the restart of the second half before Alan Dzagoev sealed the win for the Russians. Having qualified 5-4 on aggregate, CSKA are likely to face Manchester United in the last qualifying round for a slot to the group phase of Europe’s top club competition.